Before falling headlong into a romance novel addiction in my early 20s, I was a soap opera addict. Having learned at the knee of my mother (a devotee of The Young and the Restless since 1978) and my grandmother (Friday nights = Dallas), soaps were my poison of choice for relaxation during college. I kept up with four of them (Y&R, The Bold and the Beautiful, One Life to Live, General Hospital) and Monday nights were reserved for Melrose Place. 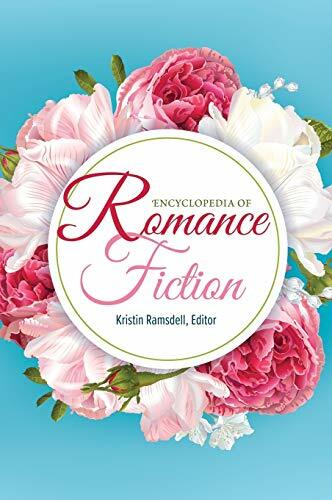 But once out of college, and with a "normal" workday schedule to adhere to, I abandoned soaps in favor of romance novels. That said, I still have an enormous soft spot for them and I'm highly susceptible to soap conventions, tropes and plots. 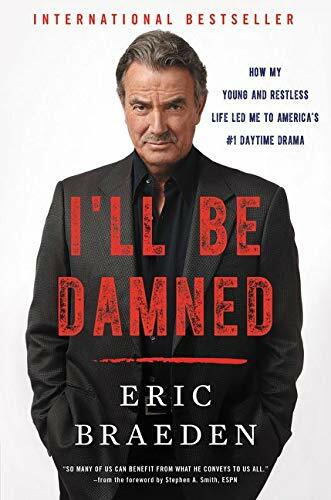 So when I heard about I'll Be Damned a memoir by Eric Braeden AKA Victor Newman AKA "The Mustache," I had to read it and I was going to move mountains to get my hands on an ARC (thank you Harpercollins!). Eric Braeden was born Hans Gudegast in Bredenbek, Germany in 1941. He has hazy memories of World War II, most involving Allied bombing raids and his father getting carted off my Russian soldiers after the war to get "de-Nazi-fied." His father was an important man in their small town, a former mayor, and Braeden idolized him. His premature death effected his youngest son deeply, and the family eventually fell on financial hardships after his death. By all accounts though, Braeden had a fairly typical childhood - obsessed with sports (soccer in particular, but he was a track and field star) with three older brothers to keep him occupied. But he was also restless and thanks to family connections overseas, he made his way to the United States in 1959. While attending the University of Montana on a track and field scholarship, a documentary he got roped into led to California - where he fell into acting playing bad guys and Nazis. This would also be the time when Braeden actually learned more about World War II and the Holocaust. It seems incredible, but as he says, he was a little boy and immediately after the war nobody in Germany wanted to talk about it. It wasn't until the early 1960s that Germany began waking up from the nightmare, and by then Braeden was in the States. This spurred a sense of activism in him - and probably the one aspect of his story that may be a stumbling block for some. Namely that Germany shouldn't be punished indefinitely for "the sins of the father." To a certain extent I think these days are behind Germany, but in the 1960s? Not so much. Braden is mostly liberal in politics, with a smattering of conservatism, sympathetic to the Holocaust and Israel, a great admirer of Gorbachev and Reagan for the fall of the Iron Curtain and the Berlin Wall. After appearing on the TV series, The Rat Patrol (playing a Nazi, what else? ), a few films, and then making the guest star rounds in the 1970s (Kojak, Mary Tyler Moore, Gunsmoke etc.) he got a call from his agent about a spot on a soap opera called The Young and the Restless, which he joined in 1980, playing a baddie who locked his wife's lover up in a cellar and fed him roasted rat. The whole thing was absurd, but Braeden had a wife and young son to support and he was keen on the steady paycheck. Inexplicably, to him, the fans loved Victor Newman and after telling the shows creators he wanted more "back story" - he re-upped his contract and has been there ever since. Braeden has had a very interesting life, but my favorite parts of this book were the Y&R stuff (I wanted more actually!) and mentions of famous costars (like Burt Reynolds and Jim Brown in 100 Rifles). The Titanic chapter was also quite interesting. Of course the movie went on to be a monster hit, but Braeden tried everything to not do that film (his son and wife convinced him) and after the shooting ran long (and way over budget), Braeden told a gossip columnist it was going to be a BIG hit. The columnist scoffed since everyone in Hollywood was predicting doomsday, and after the fact said to him, "How did you know? You were the only person I talked to who thought it was going to make a ton of money." Braeden's answer? Simple. "It's a soap opera with a bigger budget." Amen. If you're not a fan of Y&R I think you can still enjoy this book, but honestly? Fans of the show will get much more out of it. I'd always heard that Braeden was an egomaniac, and he does come off as having strong opinions in this memoir, but there are moments of humility and humor - and those were honestly my favorite moments. As far as the writing goes, you won't confuse this memoir with, say, Joan Didion, but it's a fast read with a straight-forward writing style that was easy to engage with. Fans will be delighted, although they'll probably wish there was more dirt. Ah soap operas. The 80s were fabulous. Super couples! I was hooked on Days of our Lives (Marlena and Roman, Bo and Hope), a little of General Hospital (Ice princess days), and Santa Barbara (Ohhhh my love Mason and Julia). I stopped when I graduated college in '89. Recently found a website that sold discs of Santa Barbara. :) Watching the commercials from the 80s is a hoot. It is probably from soaps that I fell in love with true-love-delayed stories that I crave to this day. 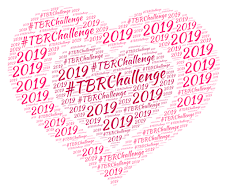 I never watched Y&R but I did watch other soaps (As the World Turns, Guiding Light and Santa Barbara, all in the in the 80s) - watching them in college in the tv lounge was sooo much fun. I loved Mason and Julia so, so much. PK: It's amazing I managed to graduate college - I kept up with four daytime soaps, watched Dallas reruns, and spent my Monday nights with Melrose Place. But then I also wasn't reading for leisure during those years, so that probably explains it.